Southport, CT – Pequot Library is honored to host Fairfield Public Schools’ 43rd Annual District-wide Art Show, from Friday, May 26 - Friday, June 2, 2017 in the Auditorium and Reading Room. The opening reception will be held on Wednesday, May 31, 2017, from 5:30 - 8:30 p.m. To better facilitate the town’s participation, encouraged viewing times for elementary schools are between 5:30 – 7:00 p.m. and for secondary schools from 7:00 - 8:30 p.m.
Pequot Library will showcase more than 800 two-dimensional and three-dimensional artworks made by Fairfield Public Schools students. The exhibition is a tribute to the talented students and teachers of Fairfield’s two high schools, three middle schools, and 11 elementary schools, exemplifying the progression of skills from kindergarten through high school, and demonstrating the building blocks of Fairfield’s extraordinary visual art program. 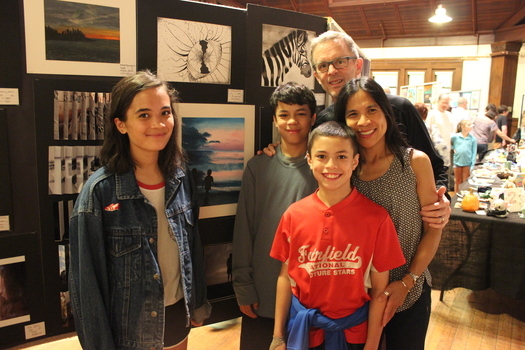 As one of the gala events of the Fairfield school year, the District-wide Art Show offers the community the opportunity to celebrate its young artists. Parents, students, and educators will come together to explore the exhibition and to admire the color schemes, patterns, compositions, beauty, and ingenuity of the outstanding works on display. The public is also invited to enjoy the Advanced Placement (AP) exhibition with selections from Fairfield Ludlowe and Fairfield Warde High Schools in The Perkin Gallery, which is on view from May 15 – June 2, 2017. Please visit www.pequotlibrary.org to learn more about this vibrant library, educational, arts and cultural institution. For information: (203) 259-0346 ext. 15. Follow Pequot Library on Facebook, Instagram, and Twitter. Pequot Library Brings Culture to Life!